Tottenham handily defeated an already-relegated Huddersfield Town squad, 4-0, thanks to a hat-trick from Brazilian winger Lucas Moura. After the game, he decided to celebrate the moment with his adorable son on the pitch. He put a soccer ball to his son’s feet and told him to kick it to him. 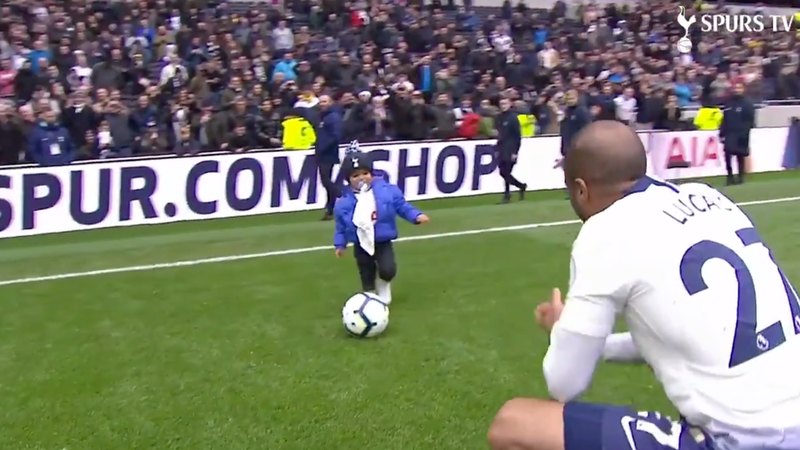 Every time the sports baby made contact, Tottenham Hotspur Stadium erupted. Any good support system will not only cheer for your successes, but also make sure you learn from your mistakes. Clearly, Tottenham supporters qualify for that description after dutifully informing the sports baby that picking up the ball with your hands is not the right way to approach the beautiful game. Once he gets that out of his system, there will be nowhere to go but up.